Bruce Kalman dabbles in the pickle business. 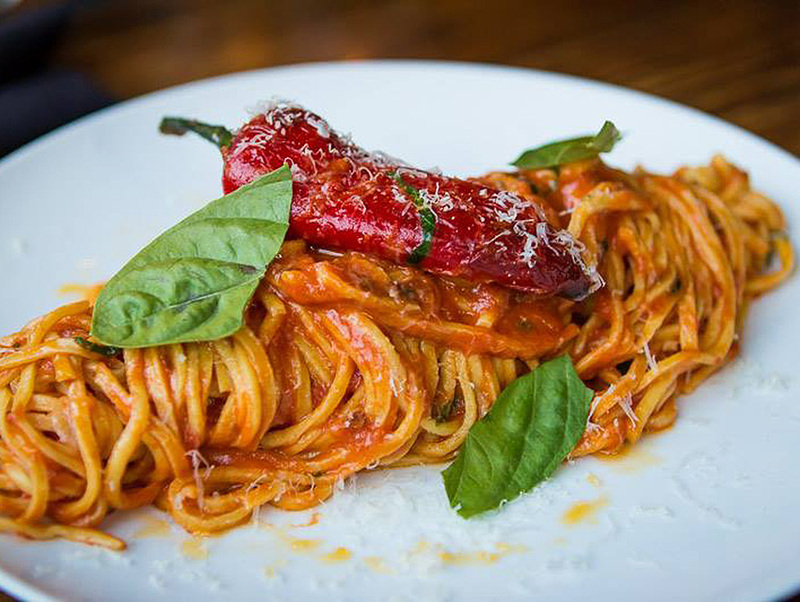 You can tell by the jarred experiments strewn about this unassuming Pasadena cubby and by the deft doling out of acid in each of Union‘s Italian-inspired dishes. Meyer lemon electrifies squid ink garganelli with lobster and truffle butter. Pecorino lends sharpness to an asparagus and artichoke salad topped by a fried duck egg. Kalman’s love for preserving is matched only by his passion for pork, which yields a superior porchetta and tagliatelle with pig “head and shoulder” ragù. That polenta is ground at local miller Grist & Toll, and a splash of a Piedmontese red might arrive with your meatballs—just because. For a neighborhood trattoria, Union is seriously overachieving.